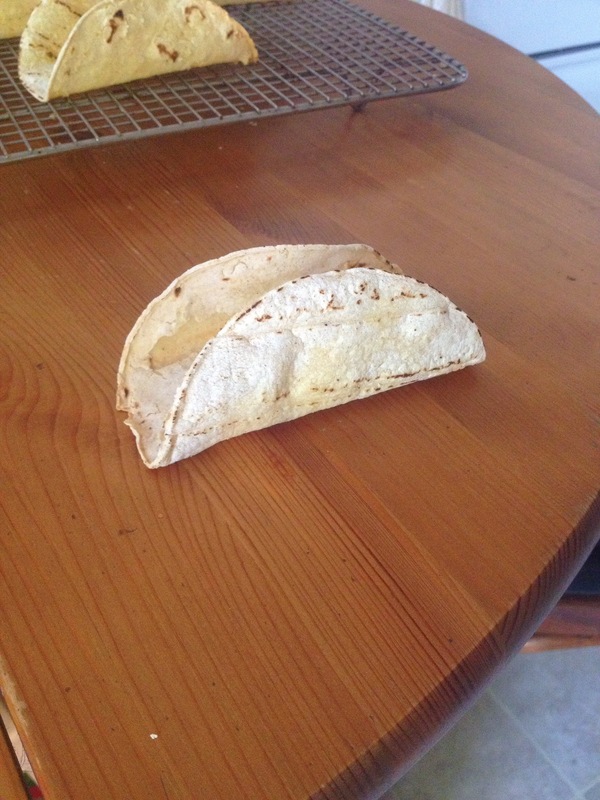 1- I have tried my hand at making un-greasy homemade hard taco shells in the oven. 2-Why not wrap a soft shell AROUND the hard shell? and while you’re at it, why not throw some gooey cheese or beans between them? Compromise isn’t always so hard. It’s especially helpful to have nice baked shells because then you can use up all that frying power on your filling, beer! battered! tofu! Reasonable. preheat the oven to 375. steam the tortillas just enough to soften then lightly brush with oil. keep them warm under a bowl as you go through them. 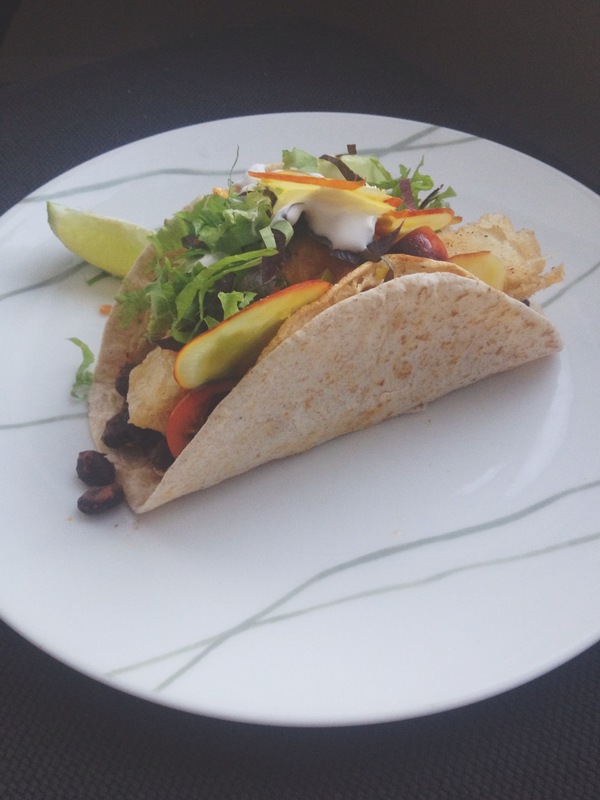 lay each tortilla directly over 2 bars of the oven rack to make an upside-down hangy taco! bake for 7 minutes until crunchy and very very slightly golden. remove and cool. it makes the kind that stands up on it’s own to fill, if this isn’t your preference, use a bigger tortilla so there’s more hang than base. the stand-up kind works well for me because i am a chronic over filler of tacos and it makes my life easier. dissolve salt in hot water and cover the tofu for 20 minutes. let it brine and get nice n salty. the amount will depend on the dish you’re using but just taste to make sure it’s plenty salty. pat the tofu dry. whisk together dry ingredients and beer until smooth. In a medium sized pot heat 1/4 inch of oil over medium heat. coat the tofu and gently place into the oil (i did mine in 3 batches). once the bottom is golden, flip and cook the other side for another couple minutes. if they stick to the bottom gently nudge them with a metal spatula and they should free themselves. let them sit on some paper to soak up the oil and sprinkle with salt and pepper. keep in a warm oven until ready to eat. drain and rinse your beans. dice and sautee the onion + jalapeno in a small pan with a drizzle of olive oil. salt lightly and sweat the onions. add spices and cook until fragrant. add beans cook for a few minutes, adding a splash of water or broth as needed. season with a squeeze of lime, salt to taste and some nutritional yeast. if the salsa you’re using is mild you could even add some hot sauce for kick. slice the avocado! peel your beets and slice them as thinly as possible, if you have a mandolin now is the time to bust it out. I find a sharp veggie peeler can make nice thin slices if you’re in a bind. 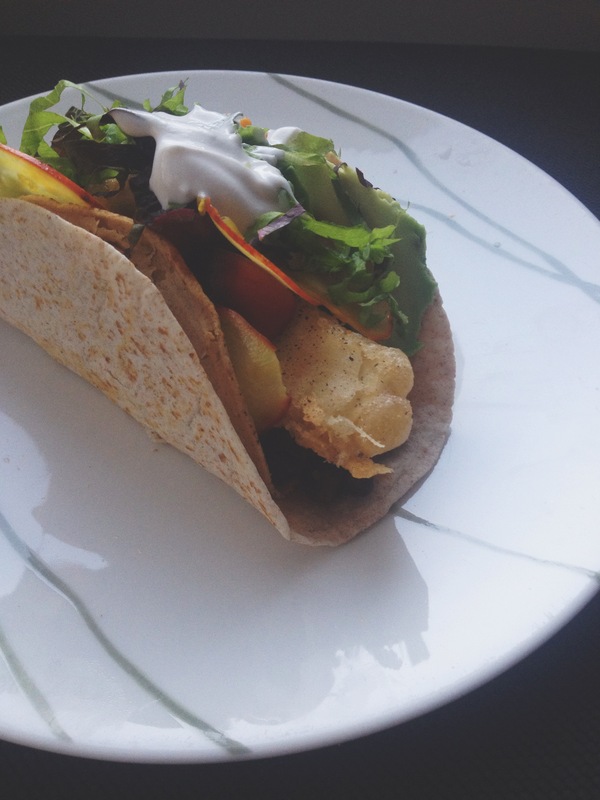 If you want to double wrap your taco, dry pan-fry a tortilla so it softens, flip it, add you cheese and warm until it starts to melt. then wrap it around the hard shell and you’re done.